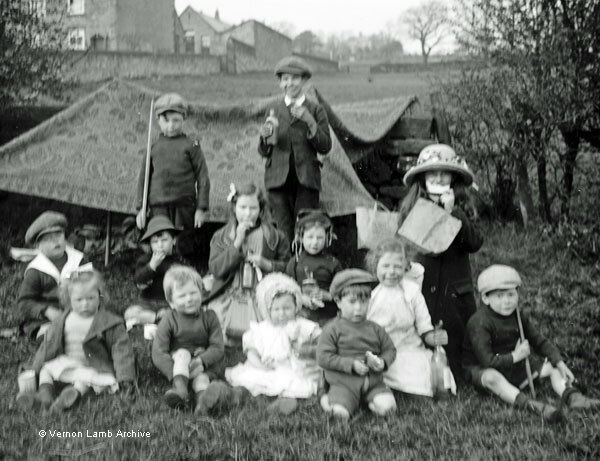 Description/Historical Information: Group of children of various ages, including a baby. They are enjoying a picnic and sitting in a field with a home made tent. Parts of this image are blurred.